Modern furniture and art, home tours, lectures and a cocktail party are part of the annual event. The third annual Modern Show, Center for Architecture Sarasota’s biggest fund raiser of the year, returns May 4-5 to CFAS’ McCullough Pavilion with a sale of modern furniture and art from the mid- 20th century to today, all donated by area modern design aficionados. Also planned are a trolley tour with architect Carl Abbott; a tour of a recently completed modern home on Siesta Key with its designer, architect Guy Peterson; gallery talks on design within reach and the passion for collecting; and a Modern Cocktail Party and pre-sale produced by the Young Moderns, CFAS’ new affiliate group made up of design enthusiasts age 21-45. In addition, an architectural scavenger hunt for youngsters will take place Saturday morning, May 5 that will send participants searching for architectural details at various downtown Sarasota historic buildings. It was developed by Pine View eighth grader Nora Kuhn as part of a Girl Scout award requirement. 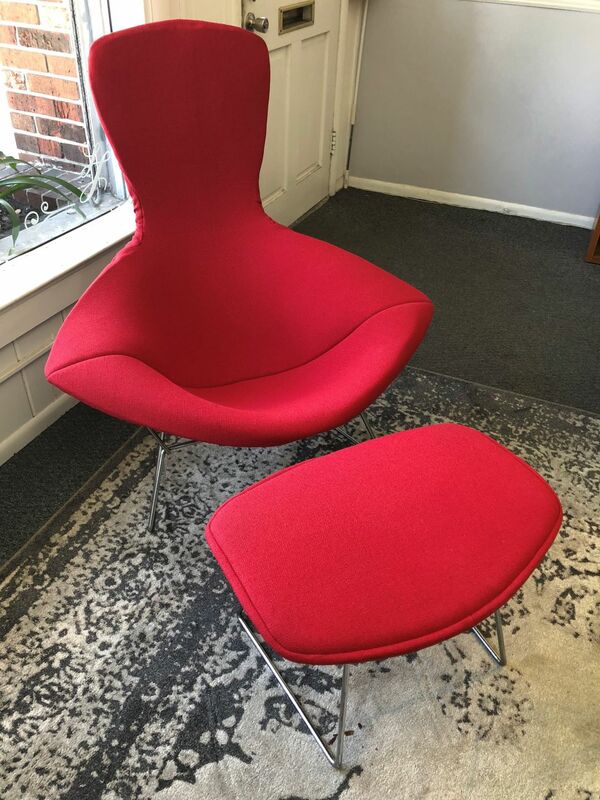 Committee chair Cheryl Gaddie says among the items for sale are a Warren Platner round chair and ottoman and a Bertoia bird lounge chair and ottoman in hard-to-find red, as well as several Knoll and Herman Miller pieces. CFAS is also in conversation with an architect to display his 8-foot-by-11-foot stained glass panels created in 1960 and crated for the last 25 years. “These are the kinds of things you don’t expect,” says Gaddie. The Modern Show has raised between $50,000 and $60,000 in the past two years for the nonprofit membership-based organization, which aims to educate the public about architecture, design and urban planning through exhibits, lectures and tours. Tickets to various Modern Show events can be purchased here.